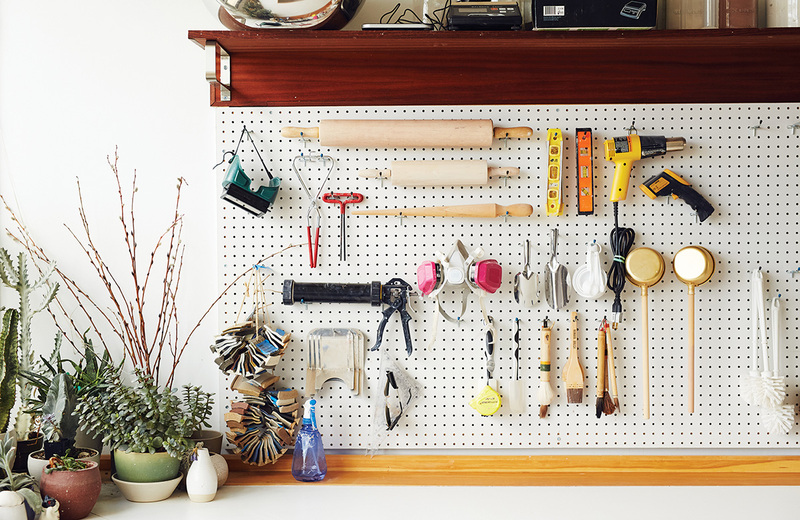 Armed with an electric kilm and plenty of know-how, the Allston-based team makes pretty pots, plates, bowls, and more. By Andrea Timpano·	 8/30/2016, 6:00 a.m. It all started with a glass of sherry. Holed up in Barcelona Wine Bar’s newly opened South End outpost in 2014, longtime potters Abby Smallwood and Beth Connolly sipped Spanish wine and rehashed their shared dream of opening their own studio. “We always talked about having our own place,” says Abby, who’d met Beth in a pottery class six years earlier. That night at Barcelona, “We said, ‘Let’s just do it. 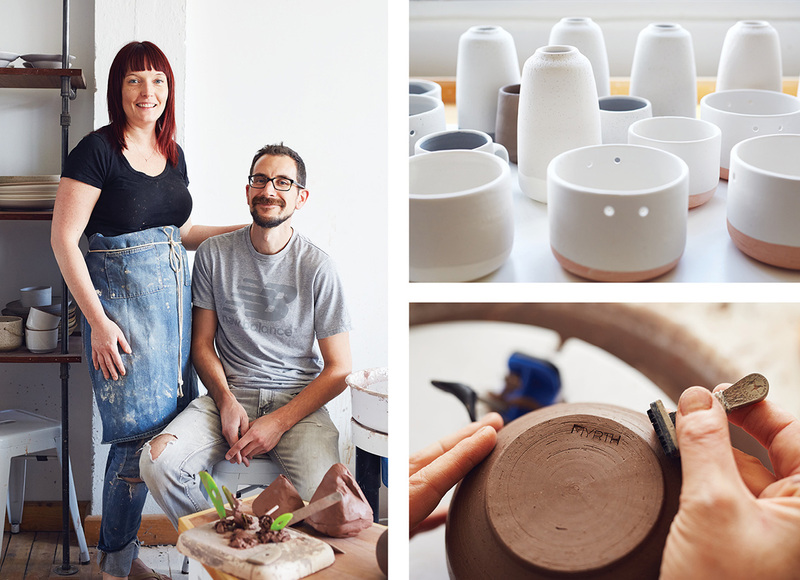 Let’s find a place and do it.’” Within a week, the two friends—along with Abby’s husband, Eric—signed a lease for a sunny workspace in Allston, and Myrth Ceramics was born. 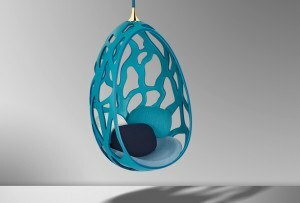 Described by Eric as “simple and modern,” all of Myrth’s pieces are designed and crafted by the Smallwoods (Beth has since left the company) in their second-floor studio on Braintree Street. Each vessel begins as a chunk of stoneware clay, which—in a process similar to kneading dough—the potters “wedge” to ensure even moisture content and density. 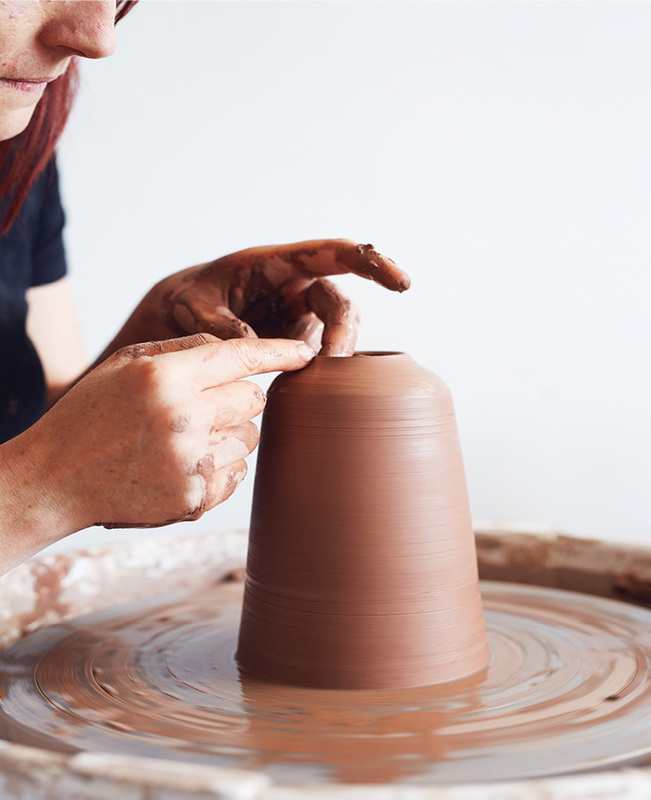 The prepared clay is then slammed onto a wheel and manipulated, or “thrown,” into shape. Once the vessel is formed, the potters trim it to add detailing, brand the bottom with the company logo, and place it on carts to dry for several days. Dried pieces, known as greenware, are then “bisque fired” in an electric kiln at a whopping 1,828 degrees. 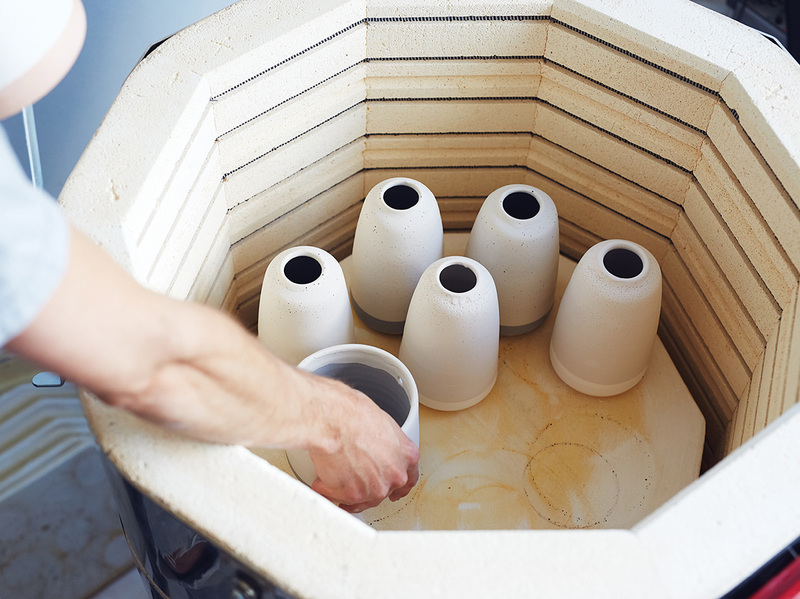 Now in the bisqueware phase, the vessels are glazed and treated to a second, hotter spin in the electric kiln. 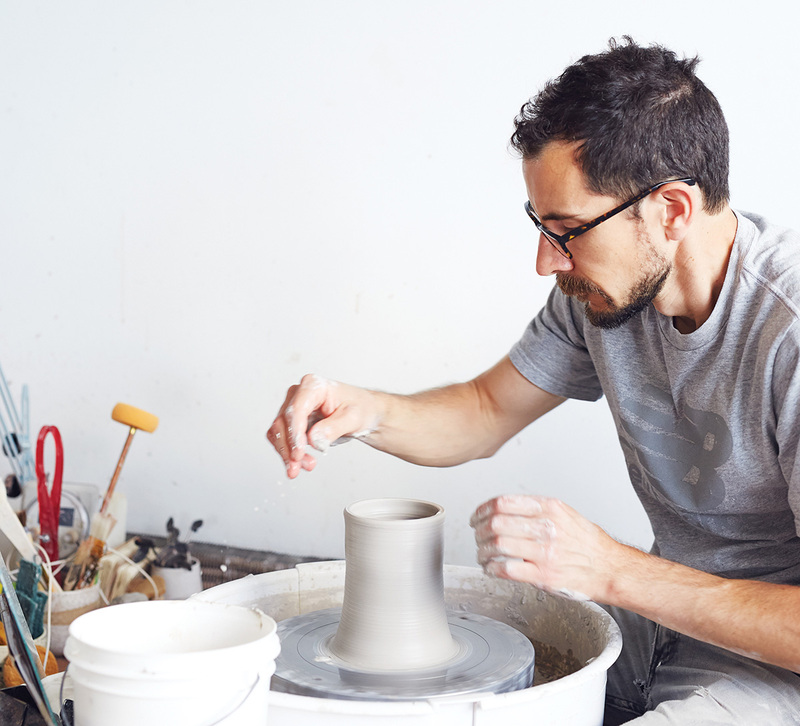 It’s a laborious process: Because of the lengthy drying and firing periods, creating a single piece from start to finish can take as long as a week. 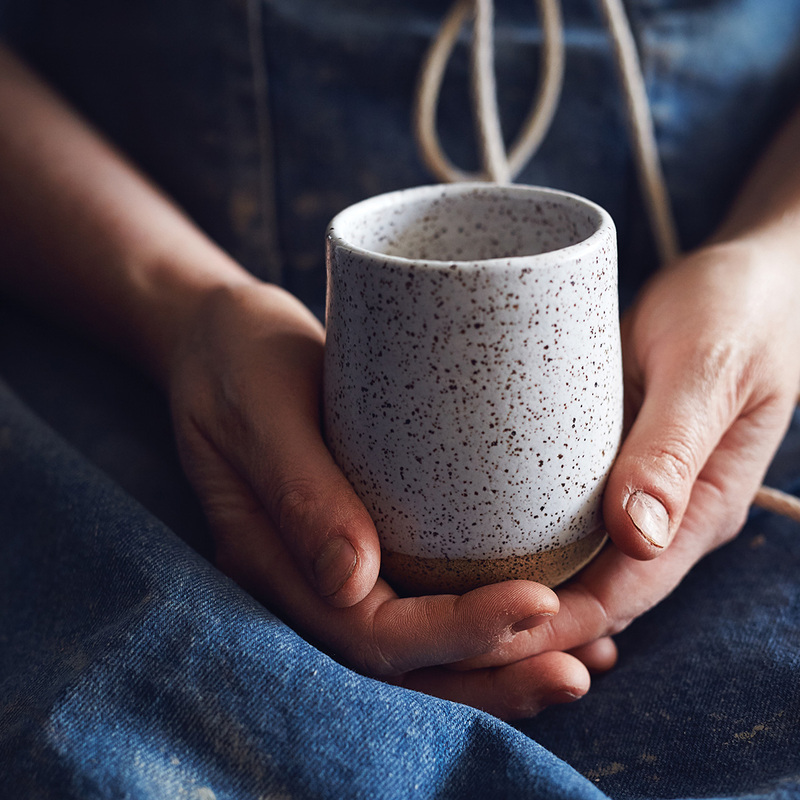 As Myrth Ceramics wraps its second year of production, it’s clear that this combination of passion and expert mentorship has paid off. 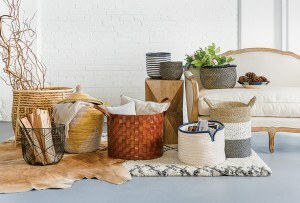 The company’s goods (which range in price from $32 to $650) are now carried by numerous local businesses, from the South End’s Olives & Grace to the Boston-based online retailer Covet+Lou. 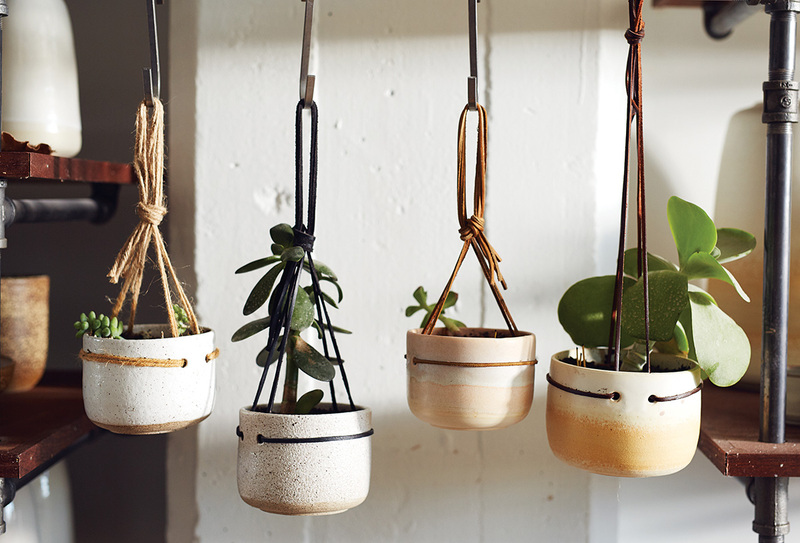 Kimberly LaFoy, co-owner of Somerville’s Loyal Supply Co., also stocks Myrth Ceramics pieces, including a stoneware match striker crafted exclusively for her store. 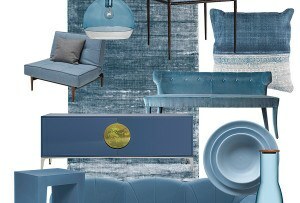 “I love the form and function of the simple shapes that they design and create,” she says. 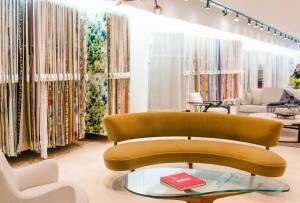 “Being able to see their process and their beautiful space was really inspiring.” Requests for collaboration have poured in from other local businesses, too. 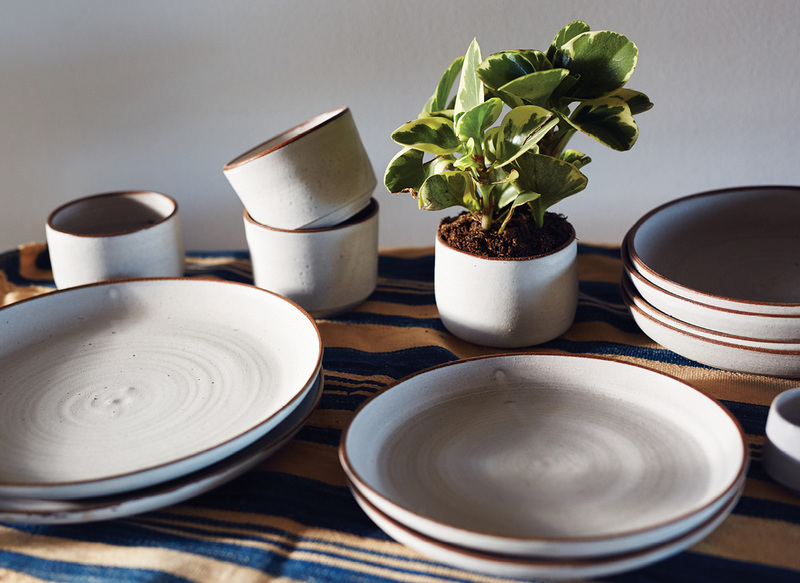 In addition to orders from Lynzarium’s Plant Shack, in Gloucester, and the Rockport bakery Mayflour Confections, the Myrth Ceramics team recently partnered with chef and restaurateur Barbara Lynch on a line of tableware for her Italian eatery Sportello.